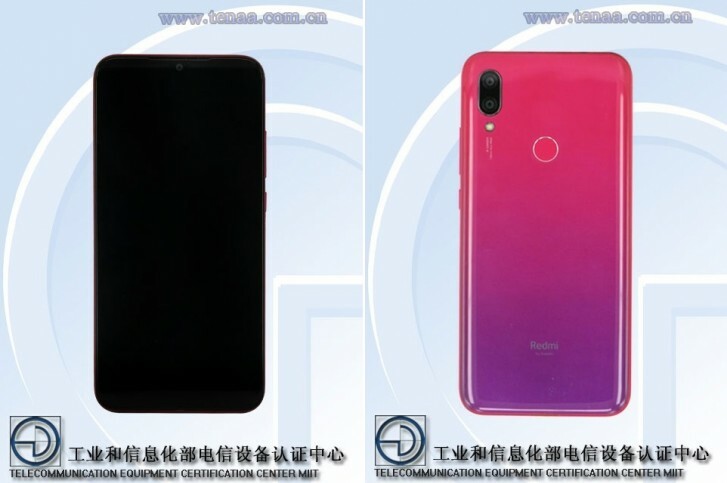 Two days ago, the Redmi 7 appeared on TENAA revealing some of its specifications, and now, the TENAA listing has been updated with its images and full specs. The images shared on this Chinese authority's website reveal the smartphone will come in at least one gradient color. It will also have a dual-camera setup at the back accompanied by an LED flash and a fingerprint scanner. On the front, the Redmi 7 has a 6.26-inch LCD with a resolution of 1520 x 720 pixels. This translates to an aspect ratio of 19:9. The screen is turned off so it's difficult to ascertain whether it will come with a waterdrop notch or a regular one, but considering the camera placement it's likely the former. Under the hood, the smartphone will come with an octa-core processor having a clock speed of 1.8 GHz. It will be offered in three memory configurations - 2 GB RAM + 16 GB storage, 3 GB RAM + 32 GB storage, and 4 GB RAM + 64 GB storage. The Redmi 7 will support storage expansion via microSD cards and will boot up to Android Pie. It will sport an 8 MP camera on the front with the dual-camera setup at the back including a 12 MP sensor. The smartphone will ship with a 3,900 mAh battery and will be offered in eight colors - black, red, blue, pink, white, green, purple, and gray. There's no word from Redmi about this smartphone, but a China launch is imminent now that it has received TENAA certification. SD 429 is a quad core up to 2.0 GHz. Its more likely SD632.